As mantra channel partner we take the responsibility for supply and services of Mantra MBIOG2 Attendance Biometric machine. This is advance model with time attendance and door security system feature. 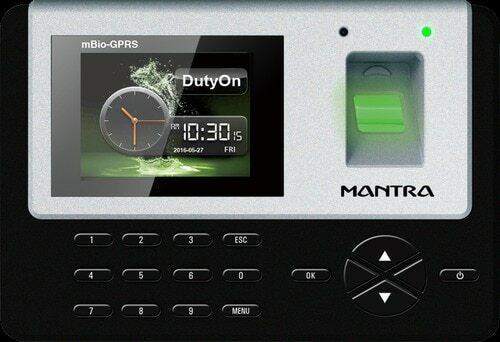 Mantra MBIO G2 is used with Pay Time and Cloud Based Minop Time Attendance Software to get desired time attendance reports offline and online through computer. This system can be connected to mobile app for viewing of attendance through android mobile. CALL US FOR MORE INFORMATION ON MANTRA BIOMETRIC PRODUCTS.